In this course, we will be drawing on the many excellent collections in Philadelphia to explore both how “the bible” was constituted through a variety of material forms for liturgical use, devotional practices, scholarly exegesis, the education of children, and as a literary resource. One question will be to what extent “the bible” was a post-Reformation invention, given that it was not particularly useful for liturgical practices in the Middle Ages. We will focus on Genesis, the Psalms, and the Gospels from the Middle Ages onwards, focusing on English translations from Wycliffe to the Brick Testament (made out of Lego). No language skills are required, but you may find some online resources for the Latin Bible useful (e.g. http://www.latinvulgate.com and http://medievalist.net/search.htm). Special topics will include: the bible as scrolls and as codex; the invention of the pocket bible; the development of biblical reference systems; the dissemination of the scriptures through a range of “non-biblical” forms (books of hours; children’s primers; sermons; anthologies; commonplace books); printing and publishing the bible (including in North America); “illustrations” as counter-texts; commentary and exegesis. We will pay particular attention to typological reading (for which a good starting point is George Herbert’s “The Bunch of Grapes” in a modern annotated edition). To what extent does typology challenge dominant modern notions of reading, usually based upon the reading of novels? To what extent was the book-form (first mentioned by Martial in the 1st century CE and thus virtually coterminous with Christianity) ideally suited for discontinuous reading, whether through the collation of the “same” passage in the four gospels or through the typological collation of Old Testament and New Testament passages? Finally, to what extent was the reading of the bible transformed by post-novel reading practices? Peter Stallybrass teaches this course. 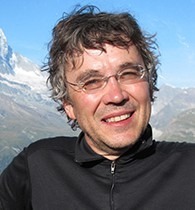 Peter Stallybrass is Annenberg Professor in the Humanities at the University of Pennsylvania, where he has directed the History of Material Texts seminar since 1993. Peter has been awarded the Andrew Lang Gold Medal from the University of St. Andrews and four teaching awards from Penn. He was the Samuel Wannamaker Fellow at the Globe Theatre in London, the Moses Aaron Dropsie Fellow at the Center for Advanced Judaic Studies, and he is a member of the American Philosophical Society. He has collaborated with Jim Green on curating exhibitions on “Material Texts” and on Benjamin Franklin at the Library Company and the Grolier Club, and on the book Benjamin Franklin, Writer and Printer (2006). With Heather Wolfe, he curated the exhibition on “Technologies of Writing in the Renaissance” at the Folger Shakespeare Library. Stallybrass’s work focuses on early modern printing and manuscripts and he is at present turning his Rosenbach Lectures in Bibliography on “Printing for Manuscript” into a book to be published by the University of Pennsylvania Press.